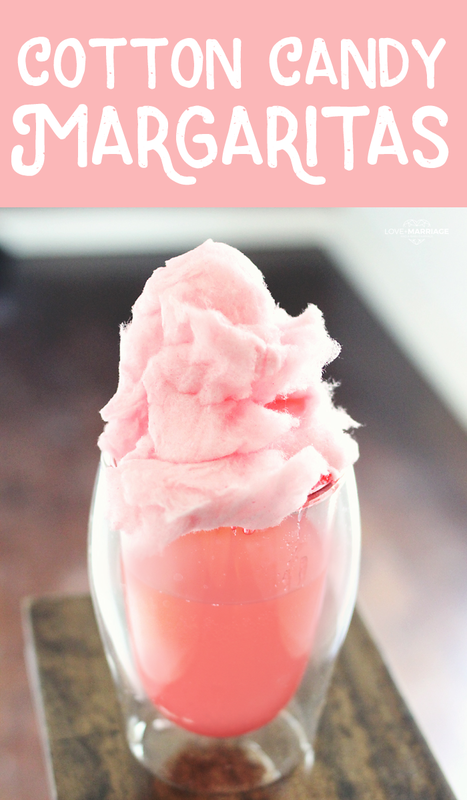 This Cotton Candy Margarita recipe is going to be your new favorite! Yes, there is pink cotton candy inside and it’s so freakin’ good. It’s Friday and if you’re looking for a cocktail to kick off the weekend this might be it. Plus, it’s very easy to make. I hate making complicated drinks that take a bunch of ingredients I never seem to have. 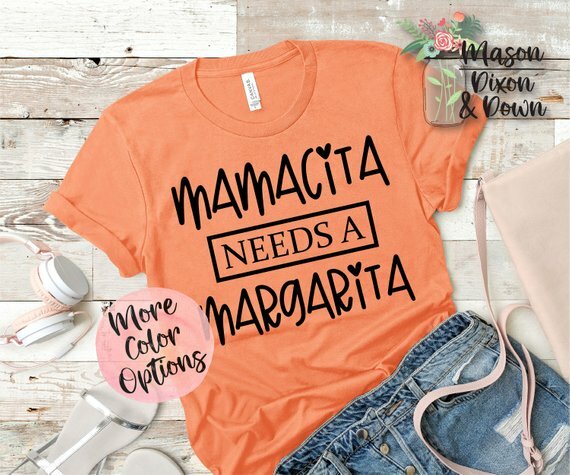 Of all the drinks in the world a classic margarita is my favorite. It’s what I will order 9/10 if I’m in the mood for a cocktail. This cotton candy margarita though, might be about to bump the original from my number one slot. It’s a stiff competition. 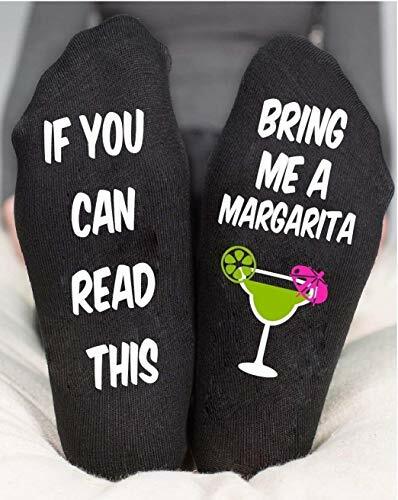 And that wasn’t the tequila talking in all caps, it was my taste buds. They were very excited. This recipe uses your two usual margarita ingredients: tequila and lime juice. 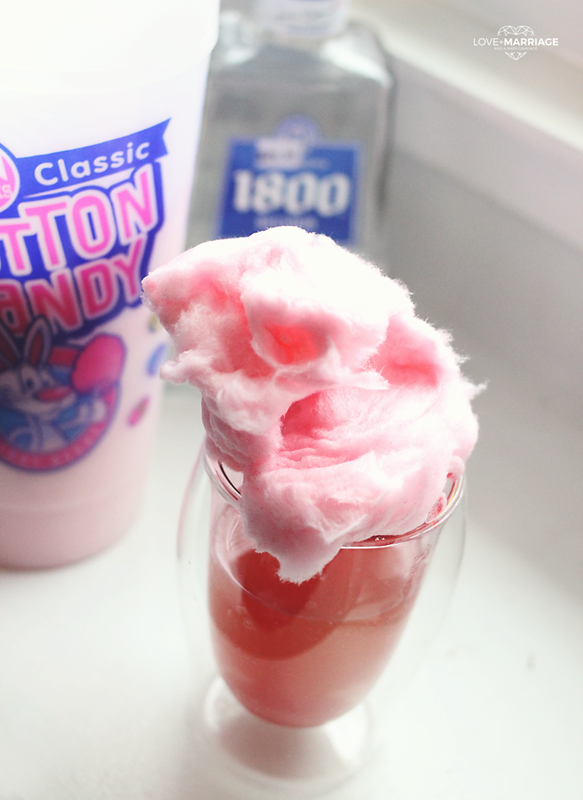 But it adds a couple new yummy ones: cream soda and cotton candy. Yes, it is very sweet. You may need to go ahead and schedule a dentist appointment now. This recipe is for a single margarita, if you want to make more you can double, triple, quadruple… (you get it) the recipe. 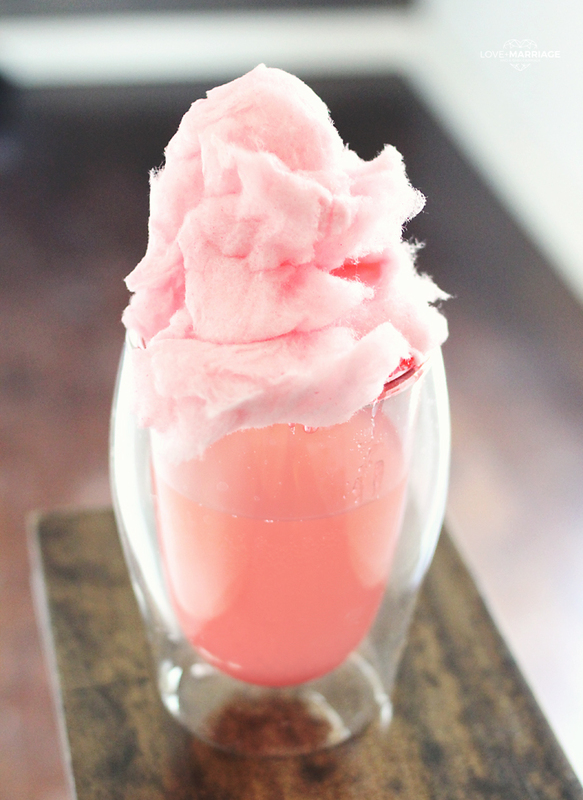 In your glass, place a handful of cotton candy, enough to fill it. In a separate cup, add your liquid ingredients and stir. Pour the margarita mixture over the cotton candy. Add extra cotton candy if you’d like to make your drink sweeter. I feel like this is going to very quickly become a summer classic. I’ll be making this drink a lot I think just as long as I can keep my kids out of my new cotton candy stash.